Specially made Ducth Gin, or so-called genever, is an absolute masterpiece. It is a well-established national Dutch drink that is produced by distilling malt wine and then adding a special mixture of herbs. There are two types of genever: old and young. Young genever has a neutral taste, like vodka, with a slight aroma of juniper and malt wine. Old genever has a smoother, very aromatic taste with malty flavours. Old genever is sometimes aged in wood; its malty, woody and smoky flavours resemble whisky. Different grains used in the production process—such as barley, wheat, spelt and rye—produce different flavoured genevers. The OHUMM Diamond Edition Genever is a stunning genever. The distillers have created a complex, organic blend of the finest, purest grain distillate and pot-still distilled Malt Wine from Holland and have been producing it since 1777. The grain distillates have been aged for more than 10 years in meticulously selected oak-wood barrels. The malt wine is distilled 3 times according to the highly regarded Schiedam municipal directive of 1902. The eminence of this genever is further magnified when it is distilled once more with the finest organic herbs, which are collected from exceptional places in the world. The drink is bottled into a 1 L dark glass bottle, with a beautiful direct-printed label. 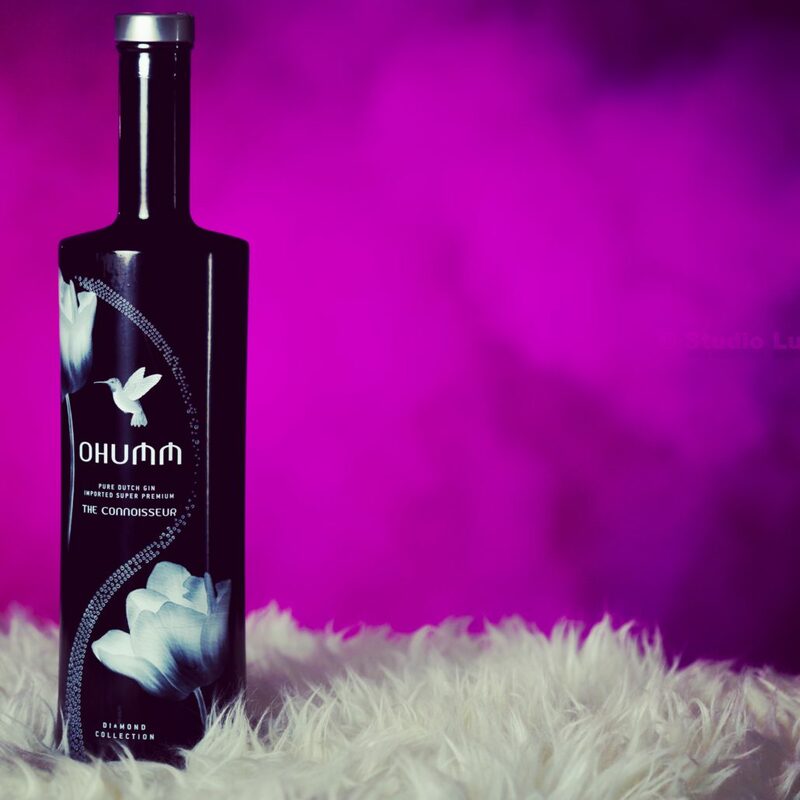 The hummingbird and the tulip on the bottle symbolise the connection between two foreign parts of the world while complementing each other with some very special and unique notes. Opening the bottle releases the strong, oaky aroma that is well combined with herbal notes. It can be even compare to a whiskey. The colour of the Genever itself is absolutely crystal clear with a slight yellow shade, which is most likely derived from the herbal extract and the oak barrels. Tasting it produces a very smooth and appealing feeling in the mouth. The alcohol content in the drink is 35%; it does not feel too strong and can be easily consumed with some ice cubes or mixed into a premium cocktail. The main taste profile comes from its wooden notes, which are complimented by the secondary notes coming from the infused herbs. It is important to mention that the alcohol was produced using organic herbs from distant parts of the world. Carefully selected plants are perfectly matched together to creating a unique, solid taste profile. It is an extremely interesting drink to try with a unique taste that is something between gin and whiskey, but perfectly matched together. A great product for using mixology to create premium signature cocktails.